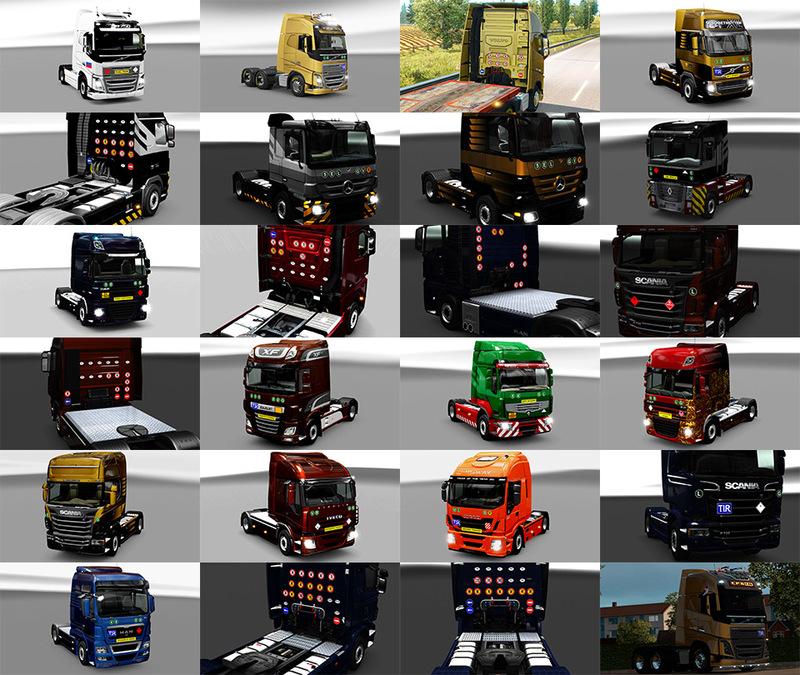 The mode is represented by over 206 signs marking trucks. Signs: 3 / 4 / 5 / 6 / E / E (yellow) / EEV / G / H / H (yellow) / IV / L / S / U / III / V / VI / R (yellow) / TIR / No TIR / T.I.R. / No T.I.R. And many others. These signs are located at the front of the truck cabin. U = The truck meets both "L" and "S" standards. Liquid N.O.S. And many others. These signs are located at the front of the truck cabin. Poland / Portugal / Romania / Russia / Serbia / Slovakia / Slovenia / Spain / Sweden / Switzerland / Turkey / United Kingdom. 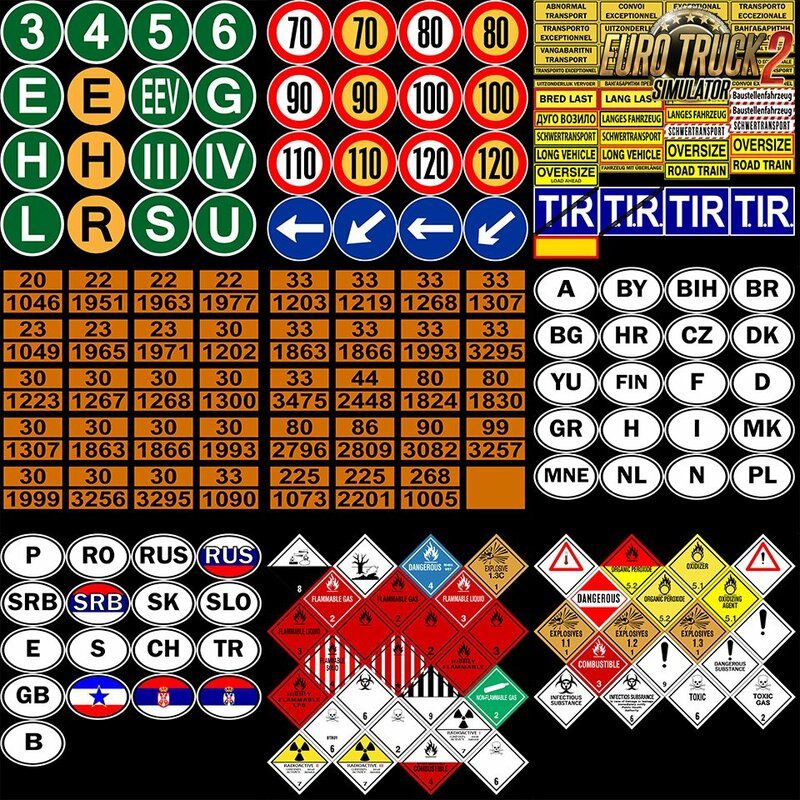 These symbols are located at the rear of the truck cabin.